1. Decide how long you want your swag to hang. From hook to tip of the greenery, my arrangements are 16 1/2 inches long. 2. Using your pliers, cut your green stems first (your decorative stem/pick will be shorter). I cut my stems where they now measure about 3 inches (from the end to where the greenery starts). 3. 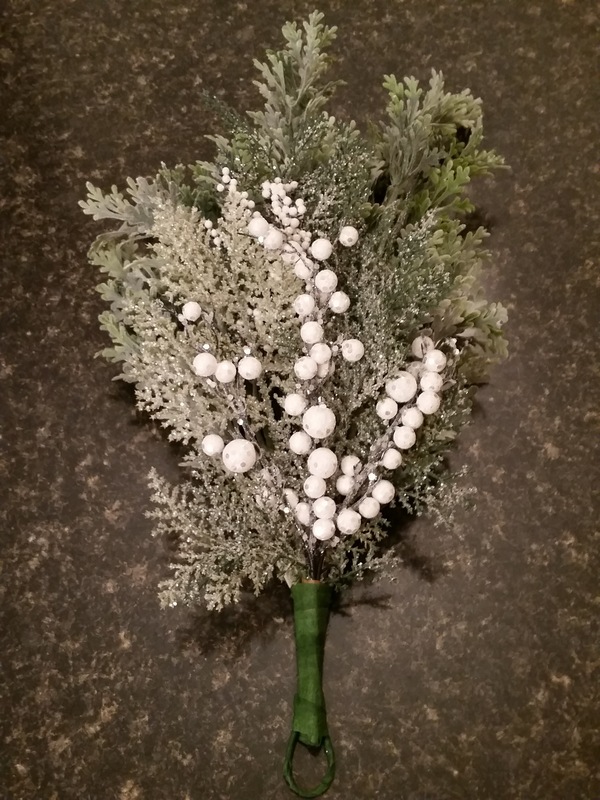 Arrange your green stems so that the arrangement is even on both sides and stack your decorative stem on top so that the bottom part of the stem (where the greenery starts) lines up. 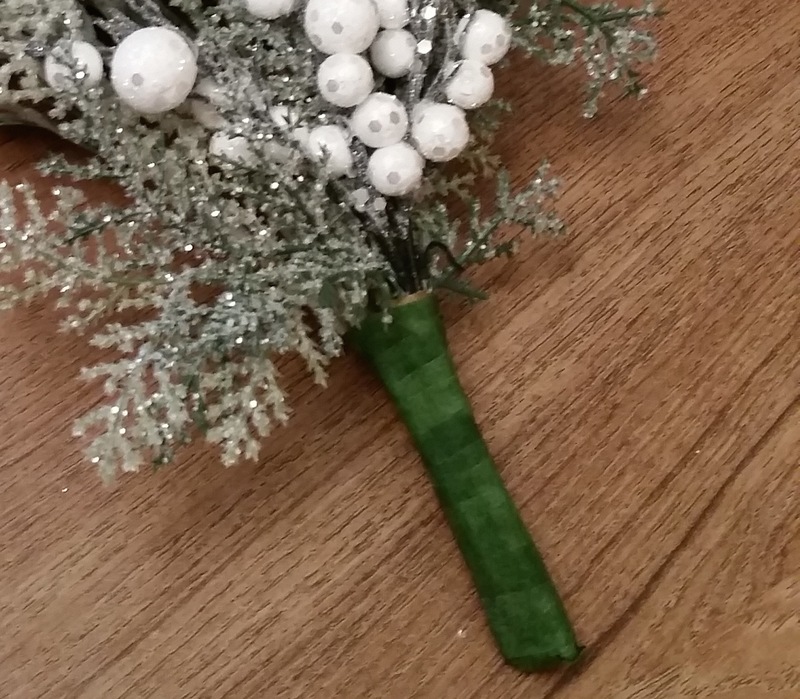 Cut your decorative stem (mine ended up being about a half inch longer than the greenery stems). 4. 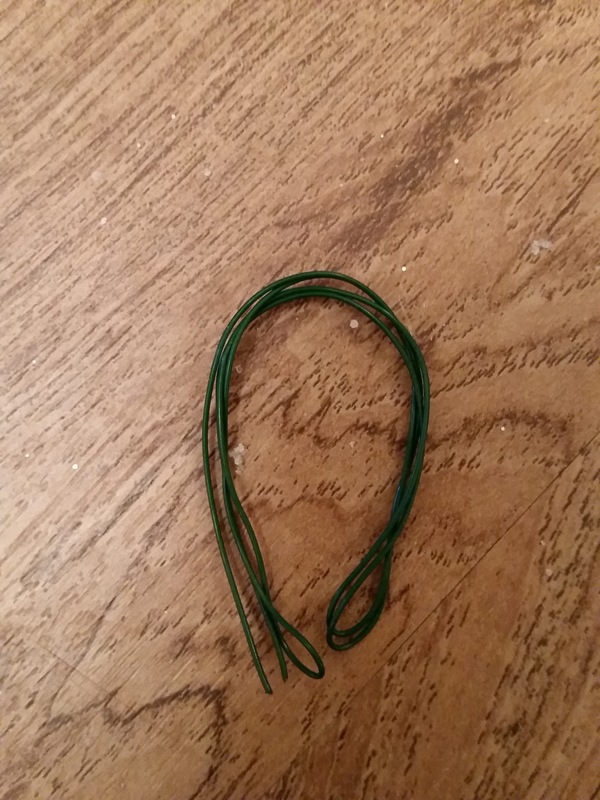 Using your floral wire, bind the stems together. 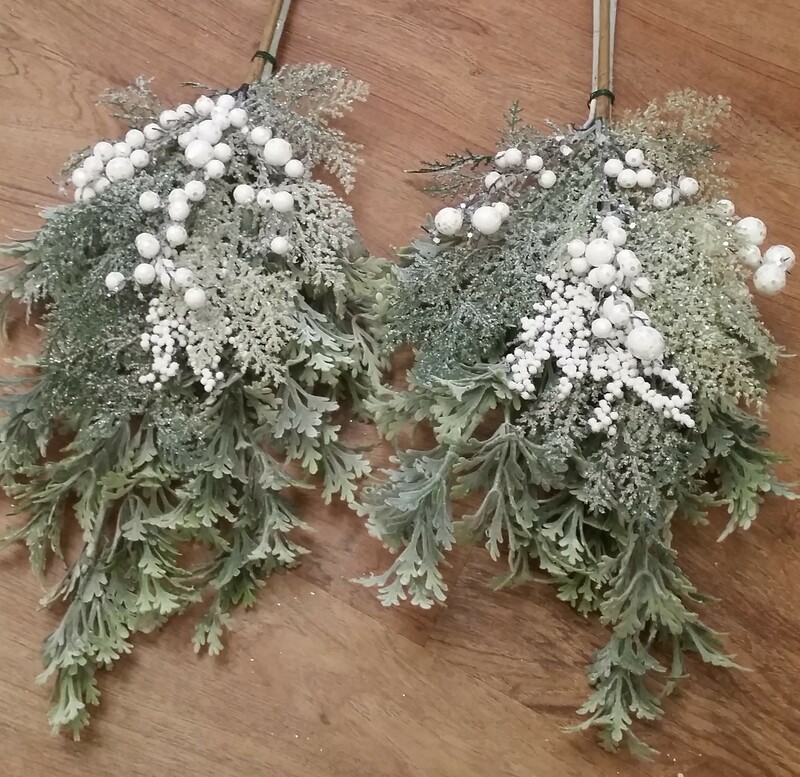 The photo below is with two stems but I ended up using three per arrangement. I had two stems side by side and one stacked on top. 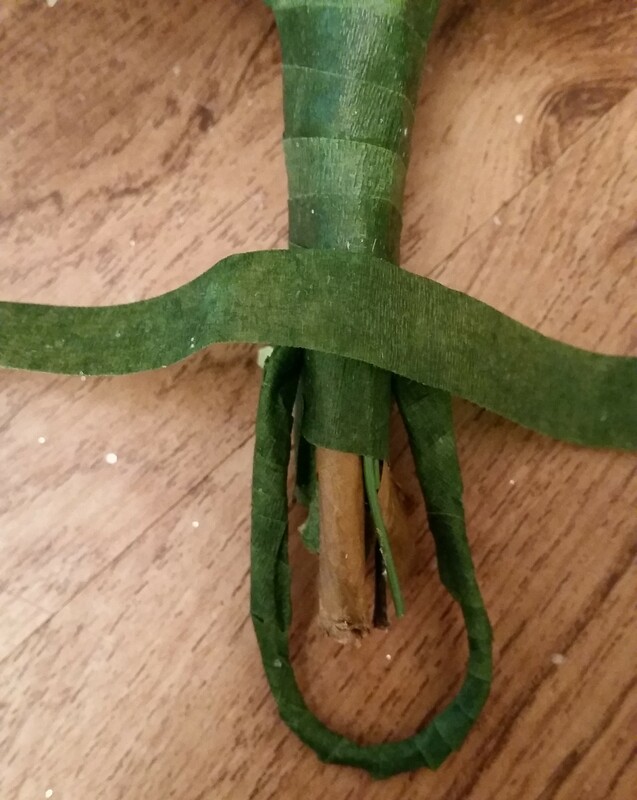 I bound the three green stems together first and then stacked my decorative stem and bound it to the three green stems (it was easier the bind the three together first in order to ensure they laid flush). 5. Once your arrangements are bound together, wrap the stems with floral tape. 6. Cut a piece of floral wire to 12 inches. Bend in half, making a U-shape. Wrap with floral tape. 7. Place the U-shaped hook on the outer part of the wrapped stems, leaving about 1 inch of wire on each side of the stems (see photo below). Using floral tape, hold your hook in place and carefully attach your U-shaped hook to your arrangement by wrapping the floral tape snuggly around. Once you have wrapped a few times, you should be able to wrap even tighter (careful not to rip your tape). 8. Now you’re done! It is bow making time. 9. As you know, there are tons of ways to make bows. 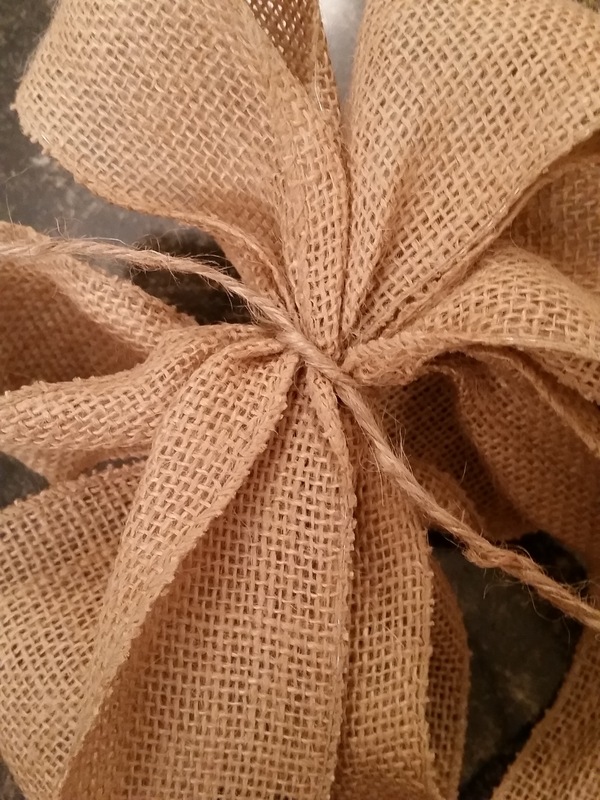 I used burlap wire ribbon. 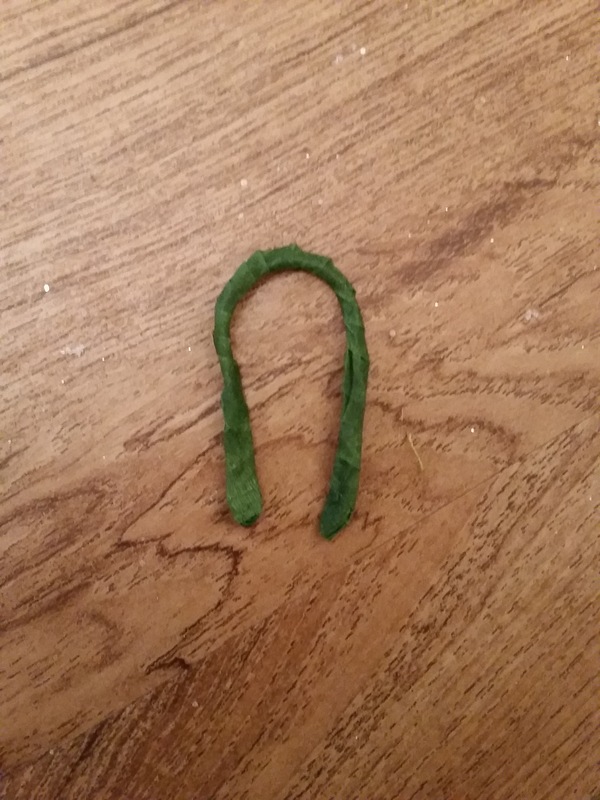 Making one loop, allowing for a tail, I made six more loops, and used jute twine to tie the bow, leaving enough twine excess to then tie it to the arrangement. This was my first bow attempt which was about 12 loops and way too big for the arrangement. Thank you! They were fun and easy to make. I am excited to see yours! Haha! I promise you can handle it! If you want to make some let me know and I will come help you. These are so beautiful, I love how elegant and festive they are without feeling too bright or overwhelming. 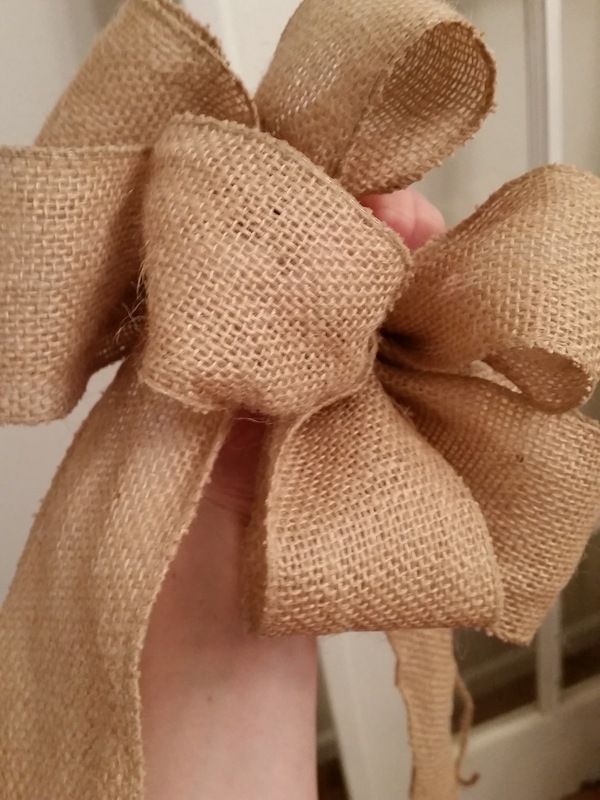 And I especially like the burlap bows! Thank you so much! Once I figured out what I was doing, it was actually really easy. If you make some, let me know how they turn out!